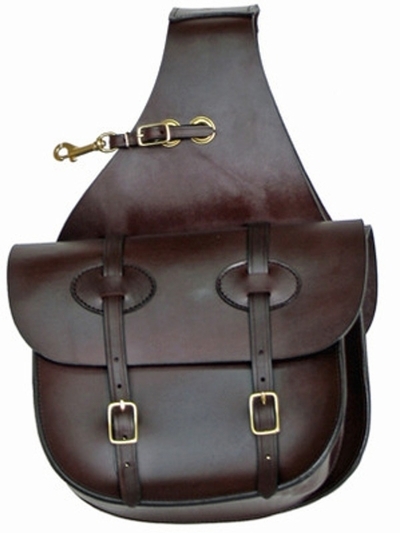 The finest saddle bags on the market today. Made from the same fine leather as the Tucker saddles. Hand finished edges, full gusset for maximum capacity. Black, brown, or new golden. Brass or chrome hardware, smooth finish. 11 1/2" H x 10 1/2" W x 4" D.